Cleveland Cello Society | The Cleveland Cello Society is now 20 years old! Welcome to our Cello Marketplace! 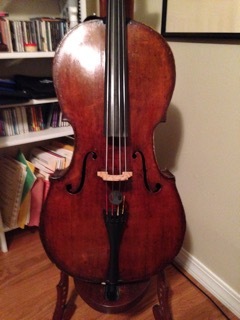 If you are looking for or wanting to sell a cello, this is the place for you. Listings are free to all CCS members. 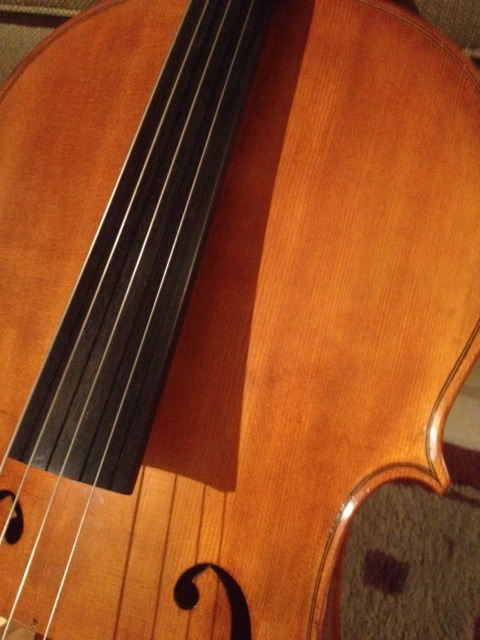 To place an ad, simply send to info@clevelandcello.com the text as you would like it to appear. We also will post a maximum of four (4) photos. 2009 Samuel Eastman full size cello & Carboni carbon fiber bow, originally purchased from Terry Carlin Violins. Comes with soft padded case with backpack straps and cleaning cloth. Papers from Wm. Moennig and Sons, Philadelphia and Julie Reed-Yeboah Fine Violins, New York. Valued at $30,000, price negotiable. Price: $7,500 or best offer. Can also sell without the case. 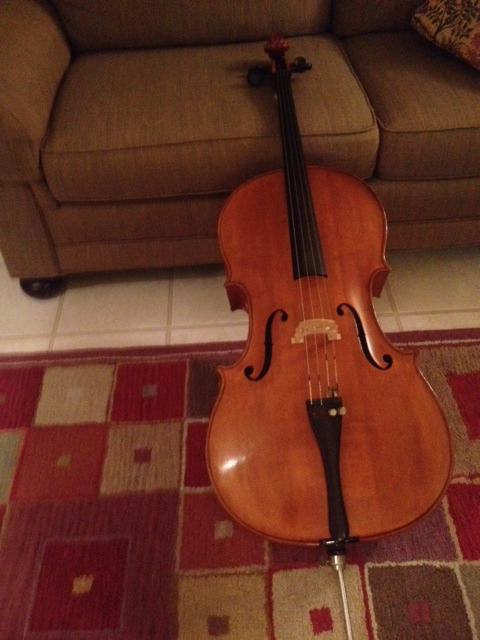 The time has come for me to sell my Jonathan Li Montagnana 2012 cello. This is Eastman Strings' master grade instrument. It's been a great instrument for me- I've played it all year during my studies at the Oberlin Conservatory of Music- I've just decided that I'm so small that a 7/8 size instrument will fit me better. All of the photos were taken in our lovely practice room facility on campus! This instrument was originally sold in the shop of Linda West who set up the cello and gave it a beautiful set of boxwood pegs and a boxwood Bois D'Harmonie tailpiece. 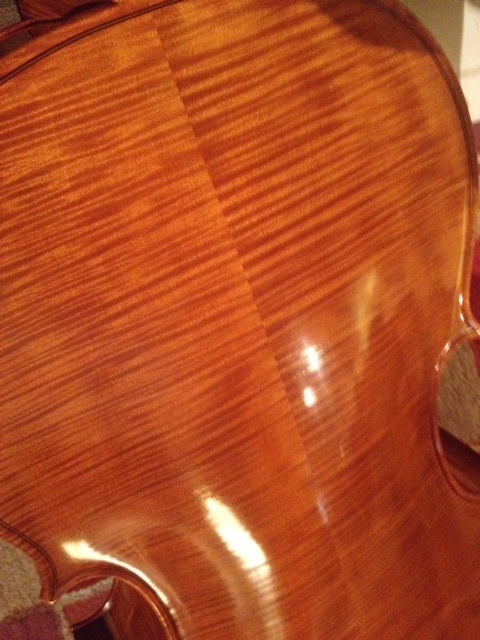 I bought it in Kansas City from a cello teacher and have since had it worked on by the renowned luthier Karl Roy. Mr Roy did a tonal adjustment of the instrument and gave it a new sound post and his own carved Belgian bridge. 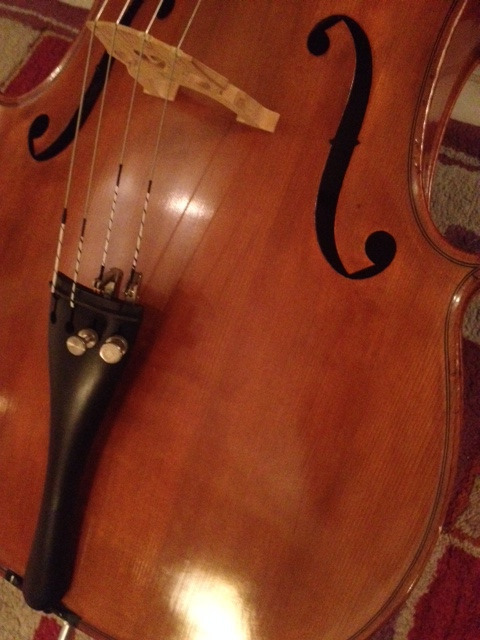 Since these adjustments the cello has really sounded wonderful and it has fit my needs well as a young aspiring professional cellist. The cello also comes with my great Hightech by Bam case- It's the model with wheels. It's a fantastic case that retails now new for around $1700. The Jonathan Li VC503 Cello from Eastman Strings is crafted of the most select, stunning flamed maple back with a straight medium-grain spruce top. A refined, golden colored oil varnish enhances the tonal quality of this instrument. Each instrument is meticulously calibrated for optimum sound production. If you'd like to hear some sound examples of the instrument just message me! I have some clips I could send your way. 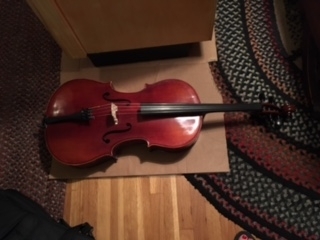 If you're at all interested in the cello, please send in an offer! I'll consider any serious offer you make. Measurements (mm): Length of back 733, upper bout 335, middle bout 226, lower bout 420. It has had a new fingerboard, new bridge, carbon-fiber tailpiece, soundpost, carbon fiber endpin and brand-new Hill-style pegs along with a lovely French polish. Half size Hoffman made in 2012, nurtured by one owner. Case and extra set of strings included for $900.